A man was arrested in connection to a hit-and-run crash that killed one man and injured another over the weekend, Hialeah Police said. Henry A. Paz was arrested and faces charges including leaving the scene of a crash with a death and leaving the scene of a crash with serious injuries, police said, It wasn't immediately known if he had an attorney. 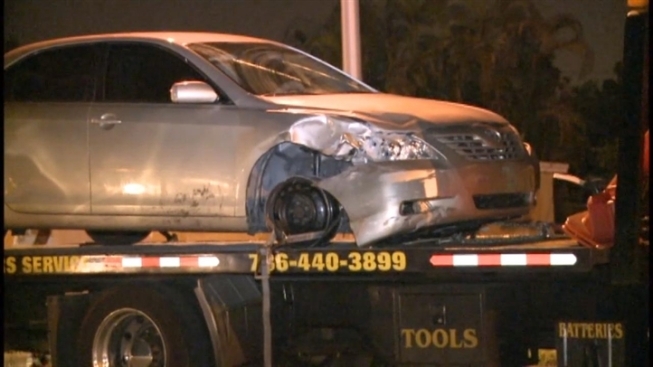 At about 9:30 p.m., Paz lost control of the silver 2007 Toyota Camry he was driving and struck two men who were waiting at a bus stop at West 16th Ave. and 49th Street in Hialeah, police said. One of the men died at the scene, while the other, Jonathan Manuel Cordero, 24, was seriously injured and in critical, but stable condition. The man who was killed, was in his 50s, and was thrown back from the bus bench into the parking lot of the drive-thru of the nearby Pollo Tropical, authorities said. Cordero was struck on his lower body, causing the amputation of both legs, Hialeah Fire Rescue said. He is being treated at Ryder Trauma Center. 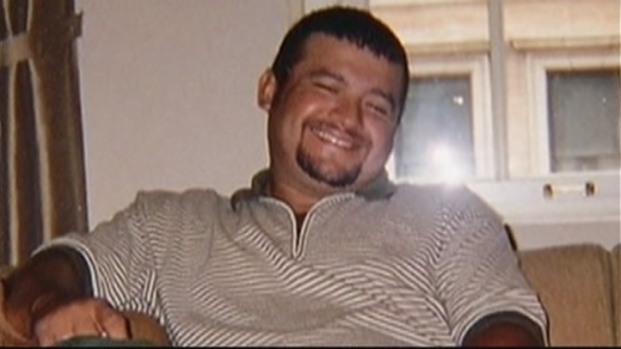 Cordero's sister and aunt were keeping a vigil at Jackson Memorial Hospital at his bedside. Authorities are investigating a hit-and-run crash that killed a man in Dania Beach Wednesday morning. The crash happened shortly before 4 a.m. in the 1200 block of S. Federal Highway, according to the Broward Sheriff's Office. Bernard Williams, 62, was killed. Edwin Jones, Keyla Concepcion, and David Watson comment. Hialeah Police Sgt. Eddie Rodriguez said police recovered the car they believe was involved, a silver Toyota, after an officer spotted it on the bed of a tow truck. About an hour after the crash, an officer saw the suspect's car being towed away from an area about a mile away from the crash site. The car was seized and Paz was taken into custody. “There were plenty of witnesses that were outside that saw what happened. So right now we’re in the process of interviewing those people as quickly as possible so we can gather the information,” Rodriguez said. Towing truck company owner and operator David Chirinos was servicing a car in the emergency lane of State Road 874 by the Killian Parkway exit early Saturday when an older model BMW fatally hit and pinned him between the two cars, the Florida Highway Patrol said. The BMW then sped away, the FHP said. On Monday brother Edwin Chirinos spoke for the victim s distraught family as it demands justice. Neighbor Tony Moreno was devastated by the news of David Chirinos death, while neighbor Elu Socccaras recalled his giving spirit. Police said more charges could be coming. Police ask anyone with information on the case to call Miami-Dade Crime Stoppers 305-471-TIPS.